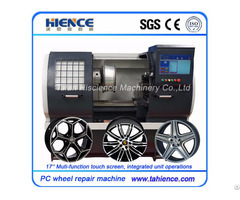 TAIAN HISCIENCE MACHINEYR CO,.LTDis dedicated to the research and development, production and sales of cnc machine tools.The most complete product specifications about cnc lathe series,Slant bed Horizontal CNC lathe, CNC Pipe threading lathe,CNC wood lathe,CNC milling machine & machining center ,Drilling machine ,Manual engine lathe,Test bench ,CNC Turning Machine center ,Accessories of CNC machine.and alloy wheel repair cnc lathe machine, alloy wheel machine . Applications of CNC machine tool has been from the airline industry sector gradually expand to the automobile, shipbuilding, machine tools, construction machinery manufacturing industry. For copper, aluminum , iron, plastic and other precision parts manufacturing, applicable to instruments , watches, cars, motorcycles , bicycles , eyewear , stationery , hardware, sanitary ware, electronic components , connectors , computers, cell phones , electronics, military and other industries in bulk machining small parts, especially the more complex parts. The company has carried out ISO QMS, We according to the Europen CE certificate classified the production process in programmable.All the produce of parts by CE directive supervise each process. 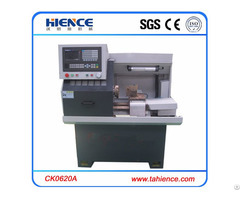 Our machine High- speed , highprecision, small cnc lathe machine, mini cnc lathe machine. There are heavy duty cnc lathe machine. The proucts sell well in the domestic maket, and menwhile, they have been exported to Europe,America, Southeast Asia and othe countries,more than 50 countries in Worldwide. The company adjacent to three estuaries of Qingdao ,Shanghai lianyungang Port as well as qingdao, jinan,shanghai Airport.